Before the war, Hitler Youth was a "boy scout" camp. Young kids Hiked, rambled, and camped. The older they got, the more military emphasis their activities had. when the boys got to about 14-18 they joined Hitler youth. 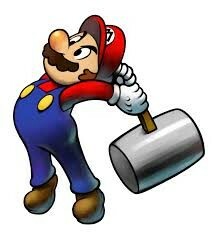 They did just strictly military work. bu when they turned 16 they went to a training camp to make sure they were ready for war. 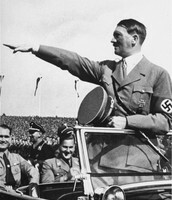 Hitler Youth had increased in population from 2 million to 8 million in 7 years. Hitler Youth were KIDS trained to be fighters and soldiers during the war. But as soon as they finished their first mission the German Police began capturing the youth and troops. Hitler commits suicide to get out of it. Hitler youth leader, Von Schirach was sentenced to over 20 years in prison. Hitler and other leaders brain washed and committed a loth of crimes against humanity. 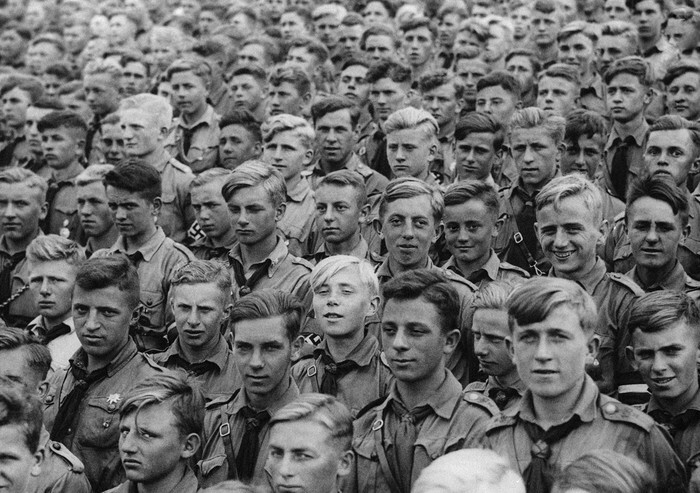 Hitler Youth was a group of kids that were taught in ways against the world and wanted one of there own. They were told lies and hated the world. Any group of people can be taken down. You may have a big army, but can they fight as well as others? In order to take over, German nazis had to use propaganda signs to reach out to people to fight. 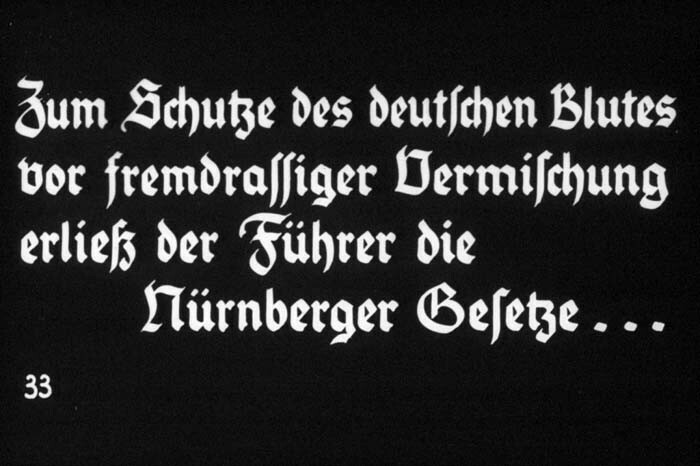 in this sign it says "For the protection of German blood against alien race mixing the Führer issued Nuremberg Laws." 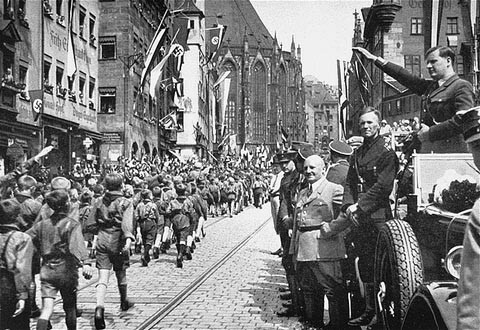 Hitler Youth parades through the city before there leaders (Von Schirach and Julius Streicher). 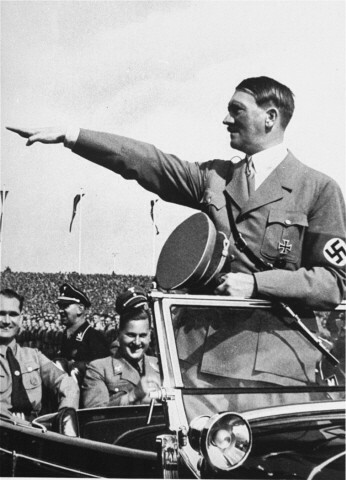 Reichsparteitag (Reich Party Day) parade from his car. He shows them that he appreciates the helping him out during the war.